The articulated trolleybus no. 010 of the Hungarian type Ikarus 280.93 was scrapped on 22 March 1995. The rear was used for car no. 021. This photo show the articulated trolleybus no. 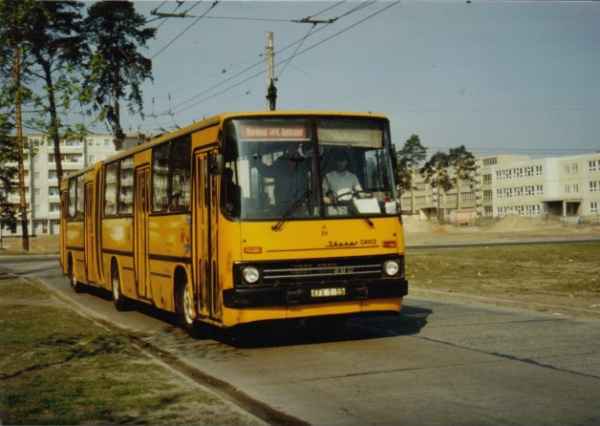 010 of the Hungarian type Ikarus 280.93 on the line S 1 at the Max-Reimann-Viertel (today: Brandenburgisches Viertel) in direction to Spechthausener Straße.